The Modojo staff take a look at 10 awesome platforming games just for mobile devices. Mobile platformers can be finnicky, and sometimes precision controls just don't adapt to a touchscreen well. However, the Modojo staff has come up with a list of the ten best mobile platformers around. If you're missing the action of Mario or Sonic, and all you have with you is your phone, these ten games will sate your thirst for some platforming goodness! Leo's Fortune not only has great gameplay, but the graphics and sound are amazing too. Leo, a furry, rolling, mustachioed monster, wakes up one day with his riches gone, and that sets the stage for a wonderful adventure through five different regions. Leo almost controls like a slow Sonic the Hedgehog and that translates to just the right pace for a mobile device. Jetpack Joyride is a lot like Super Mario Run in gameplay. You take control of Barry Steakfries who is equipped with a machine gun jetpack. Barry is constantly moving and you control his height by tapping on the screen. If you liked Super Mario Run and are looking for a bit more challenge, give Jetpack Joyride a try. It's an oldie but a goodie! 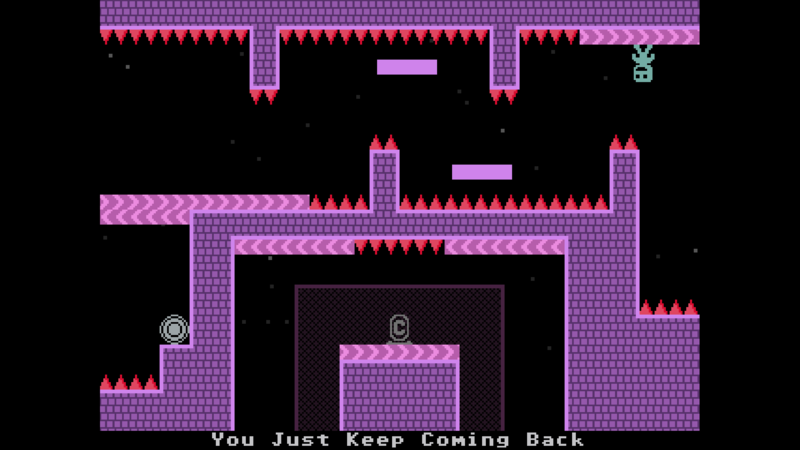 There's a specific sort pleasure found in playing classically-styled side-scroller games on modern smart devices, and while VVVVVV isn't technically what qualifies as retro, it hits all the right old-school marks: pixellated graphics, simple-yet-challenging gameplay, and a catchy throwback soundtrack. VVVVVV provides the sort of fun experience that reminds players of yesteryear in a way that challenges the more evolved gamer in each of us; the fact that it does so with a simple enough control scheme to be mobile-friendly is just a huge bonus. The iPhone wasn't immune to indie developers looking to cash in on the retro-game gold rush, leading to shoddy ports of games that played better with controllers, like Mega Man 2. League of Evil stood out from the pack by doing more than selling you on its pixelated art style. It wasn't a 2D platformer on iPhone; it was a 2D platformer made for the iPhone: lots of levels, responsive controls, astonishingly precise platforming good for hours at a time or short bursts on the go—all for the mobile-friendly price of 99 cents. Playdead's Limbo seems tailormade for mobile platforms, even though it wasn't. The Xbox Live Arcade title sporting black-and-white coloring and moody atmosphere shed its button-based input scheme for an intuitive touchscreen interface that worked flawlessly, letting you keep your attention right where it needed to be: on soaking in creepy environments riddled with deadly traps. Mercurial Story is a lovely little mobile game that deals with a rather difficult theme. As you work your way through the limited stages, you'll learn about the protagonist's mental illness, and how even those he loves end up receiving the brunt end of his anger. Each stage has you navigating a world split between happiness and anger, with the dividing line serving as the center of gravity. You'll slingshot your way back and forth through the two spectrums as you traverse spikes and collect pills. The whole story can be beaten in 10-15 minutes, but it's a nice little distraction that's worth trying. Badland is probably not what you'd expect from a platformer, but what it lacks in traditional controls it makes up for in its unique gameplay and beautiful art style. The majority of what you'll see are shadows — black silhouettes against colorful, gorgeously drawn backdrops. You start off controlling a single, adorable little ball of fluff with wings, and will eventually command multiple at once. You'll become endeared to the little fellas, and when they inevitably get crushed or blown away, you'll likely feel guilty for not being able to save them. It's difficult to talk about platformers without bringing up Nintendo, and now that Super Mario Run has paved the way for the gaming giant's mobile pursuits, Mario can leap onto these lists as well. Super Mario Run takes the classic platformer that Nintendo is known best for and combines it with a type of game that most associate with the mobile platform. Mario has always been known for his insane jumping ability, but now he's got some parkour skills to match, leading to some interesting ways to collect coins and traverse levels. It might not be especially lengthy, but if you're looking for a polished game that you can play in 5 minute spurts, then you'll have a hard time besting this on your mobile device. With so many simple run-and-gun titles on the market, it's rare to find games that provide the tightness of action and replayability players can find in the Cally's Caves series. The original title made a name for itself by focusing purely on solid side-scroller action, and by entries 2 and 3 had branched out to include features normally found in much more robust titles, such as weapon customization, upgradeable abilities, and surprisingly steep challenge. These aren't just good indie games — they're fantastic examples of platforming done right. Jumping, sliding, and collecting coins are the bread and butter of the platforming world, and for good reason — it's hard to go wrong with those essential elements in place. Developer Noodlecake Studios knows this, and that's a big reason why their title Mikey Shorts is so much fun: it fits all of the basic joy of platforming action into perfectly-sculpted bite-sized chunks. The game looks and feels like our 16-bit gaming favorites coalesced into a single mobile-friendly title because, largely, that's exactly what happened. Should You Buy Pokemon Gold And Silver On The Nintendo 3DS? Older fans and younger players alike have plenty of reasons to get excited about the Pokemon Gold and Silver re-releases.